I feel crafty…oh so crafty! 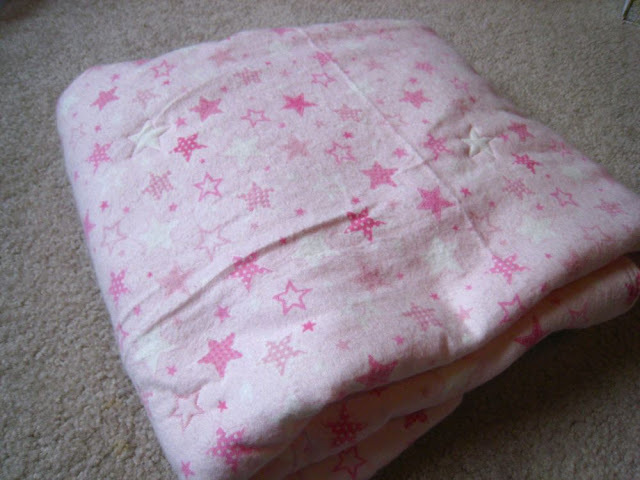 So yesterday I got it into my head to sew some things for the baby. I enlisted the help of my sister Janae and we decided to try making a blanket. It actually came together fairly quickly, and I sewed it up in no time. 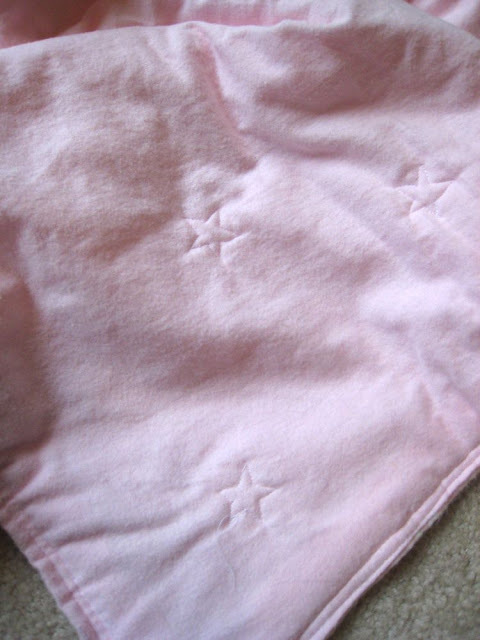 The pattern, as you can see, is pink stars, and we decided to sew around some of the stars to keep the batting from sliding around. 22 stars later….well, you get the point. It took forever! It was a labor of love and turned out really cute! 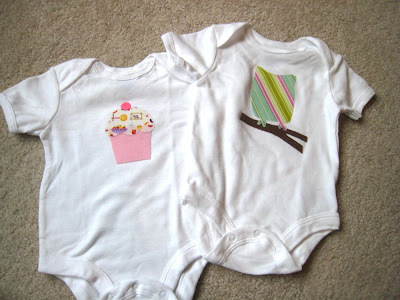 We also made a cute burp cloth and ironed on some cute shapes to some onesies. I felt so crafty and creative! It was nice to have something handmade to give to my daughter. Here are some pics of my sewing triumph! You can barely see them, but there are some of the stitched stars. 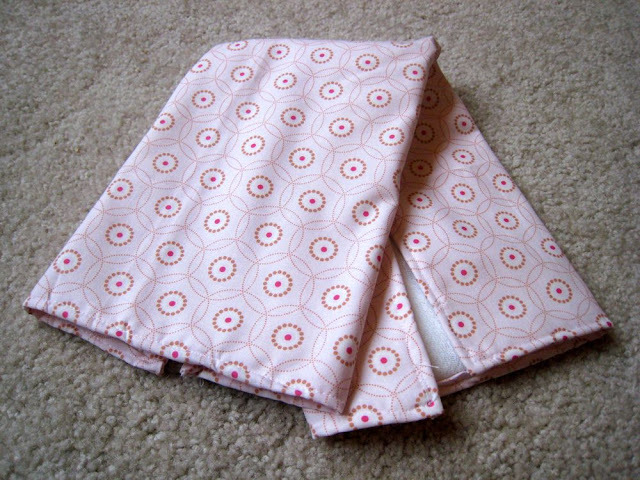 Cute little burpy cloth for our baby to throw up on. Awww.. The owl will have eyes eventually. Sew cute! Hahahahahaha! I kill myself! Next Friday…lets do lunch? Anywhere…anytime…anything really works..lets just do it. Let me know what you can do yo!